Individuals served by and representatives from agencies in Putnam, Westchester and surrounding counties participated in a special forum hosted by CoveCare Center in Carmel, NY. “The Power of Grassroots Advocacy” and “The Promise of Pioneering Service Innovations” were the main topics presented and discussed throughout the afternoon. The forum began with a presentation by Harvey Rosenthal, Executive Director, New York Association of Psychiatric Rehabilitation Services, Inc. (NYAPRS). NYAPRS is a statewide coalition of people who use and/or provide recovery-oriented community-based mental health services. NYAPRS is dedicated to improving services and social conditions for people with mental health and/or trauma-related challenges by promoting their recovery, rehabilitation and rights. 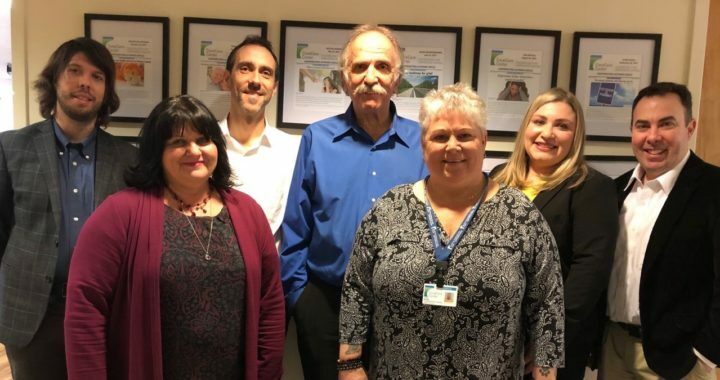 “It is so exciting to be able to bring a nationally-known figure, such as Harvey Rosenthal, to Putnam to discuss with individuals and providers in the mental health system the legislative advocacy efforts that are being brought forth on our behalf. 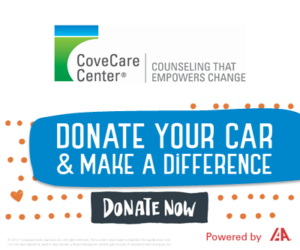 It is equally exciting to hear from peer agencies what new and innovative projects they are bringing to us,” stated Alison Carroll, CoveCare Center Vice President of Strategic Initiatives and member of the Board of Directors for NYAPRS. Following Mr. Rosenthal’s presentation, Raquelle Bender from The Mental Health Association of Westchester presented on the agency’s Intensive and Sustained Engagement and Treatment (INSET) program. A pilot program, INSET is available to Hudson Valley residents aged 18 years or older who have been diagnosed with a mental health condition, have experienced multiple hospitalizations, and/or have a history of incarceration or substance abuse. The INSET team, which focuses on providing mobile support by meeting people at community locations of their choice, offers integrated peer and professional services and referrals when they are needed. Lastly, Bryan Cranna from Independent Living, Inc. in Newburgh offered insight into the agency’s Self Directed Care Services initiative. Also a pilot program, Self Directed Care Services is person-centered, allowing individuals to exercise greater control over the funding used for their care. Individuals are helped to pursue specific opportunities once thought out of their reach as they take control of their lives and work toward recovery. In order to be eligible for this program, individuals must be enrolled in a Health and Recovery Plan (HARP) and be eligible to receive Home and Community Based Services (HCBS). CoveCare Center thanks the representatives from NYAPRS, The Mental Health Association in Westchester, and Independent Living, Inc. for their engaging and thought-provoking presentations.